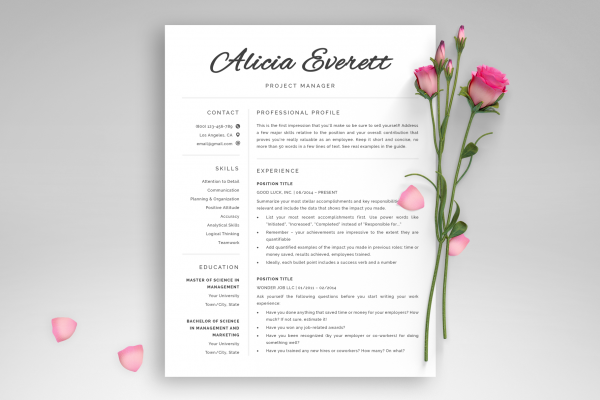 Resume Template and Cover Letter Template "Emma"
With your resume, you have only a few seconds to make a lasting impression on a potential employer. 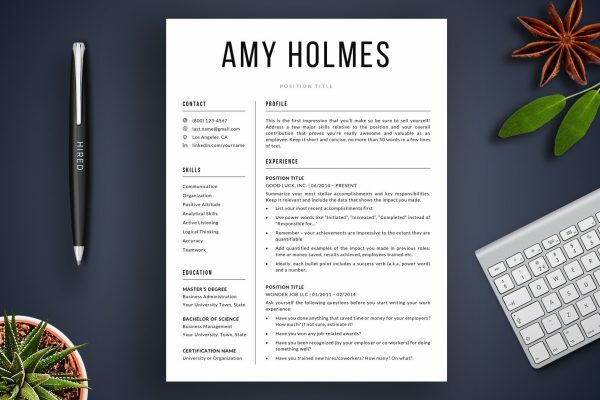 “Emma” resume template package will help you make a positive and memorable impact! This rich package includes complete 1- and 2-page resume templates, matching cover letter and references templates, matching business card templates, detailed instructions, resume writing guide prepared by HR experts, and a ton of tips and tricks to help you create an outstanding resume! 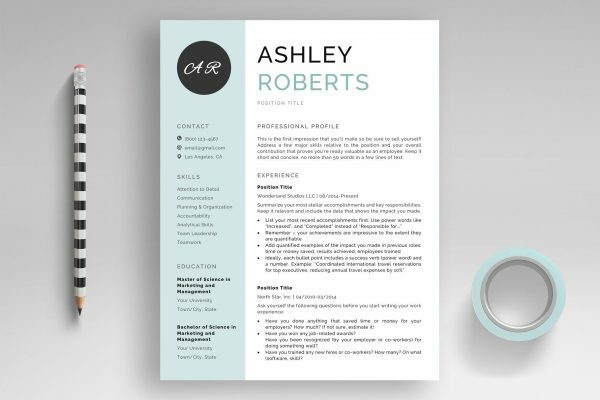 Your resume needs to stand out in both design and content, so this package includes not only professionally designed resume templates but also all the information you need to position your resume in the “YES” pile. Our experts prepared for you “The secrets every job seeker should know” – our famous resume writing guide full of actionable resume writing tips, easy to follow instructions, many examples you can use in your resume, and a ton of useful resources that will help you quickly create a resume that recruiters and employers LOVE. I wish I would have thought of it first. Lost so much time guessing what works. I’m super happy with the template and the additional resources. Very very useful. Great product – keep up the good work guys! Worth much more than I paid. Needless to say, I am extremely satisfied with the results. Thank you – great support, exactly as promised! Great templates, I found the 2 page version to works best for me. Easy to edit. Thanks!